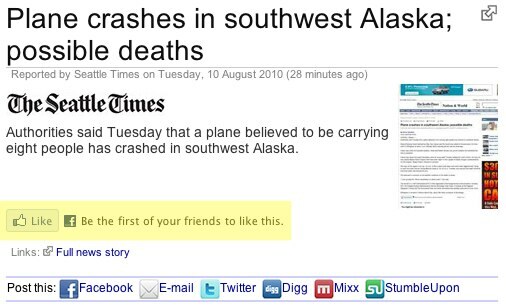 Sometimes automatic social media integration on news sites can be a little… callous. The fact that there may have been realtively well-known former US senator on the plane only underlines the macabre element. One News site offers a plethora of social media re-posting options. Highlighting mine.